Want a sign language tool that you and your baby can use together? My Smart Hands Baby Sign Language Dictionary teaches you and your little one the 300 ASL signs you need to know for clear communication. You’ll get detailed instruction, great memory tips and more. Click “...More” to learn why you should download this App today! Your baby has reached the age where it’s time to introduce language learning. Luckily, there is a sign language class in your area, which is a big help because you have to learn it before you can teach it. Teaching your little one to sign is rewarding yet can be frustrating at times. You always come up against a word that you don’t know yet. Unless you have someone in your household who can fluently sign, you have to contact your ASL teacher and wait for a response. By then, the moment has passed when the word sign was needed. If you have My Smart Hands Baby Sign Language Dictionary on your iPhone, iPod Touch or iPad, you may never have to go through that again. Not for some time, at least. 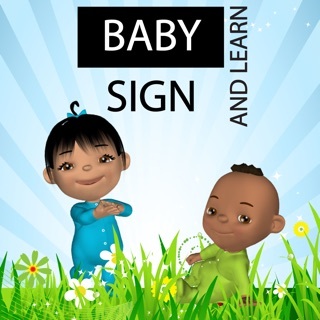 This app contains more than 300 ASL signs that help you and your baby learn to communicate through signing. My Smart Hands Baby Sign Language Dictionary is not just a tool for looking up words, although you can do that. The application shows you how form a sign word, gives you great memory tips and helps you understand what you’re doing. There’s even a quiz so you can test your progress. There’s more than 45 minutes of instructional video included, so you go ahead and refresh your memory and refine your signing, as often you want. Your baby will enjoy watching, as well. Once you’ve practiced for awhile, take one of the quizzes and see how you do. If your scorecard indicates that you missed answering a sign or two correctly, just move those to your favorites, for easy retrieval later. That way, you’ll be able to work on them a little more to perfect your communication skills. 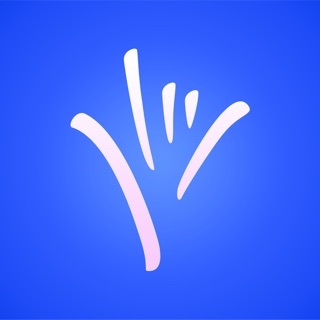 Having My Smart Hands Baby Sign Language Dictionary on your iDevice is so convenient. 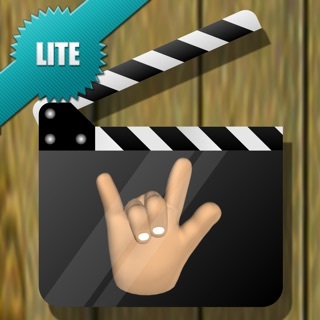 You’ll have an ASL reference at your fingertips, 24/7. So, you can even use it at two in the morning when your baby is fretting over something. Download your own My Smart Hands Baby Sign Language Dictionary now. You and your little one both benefit from this app. To read more about MSH and the amazing benefit that signing with your child brings, or if you are interested in taking a baby sign class, please visit us at www.mysmarthands.com. My son is 17 months old and can sign approximately 50-60 words. I can ask him how to say something and he will sign it OR I can sign it and then he will say the word. I absolutely LOVE Laura Bergs videos. I started signing with my son when he was 1 day old. Every time I wanted to introduce a new word, I would google whatever word I was looking for, and her videos would come up on You Tube often. I quickly realized that her videos were more useful in helping me remember the signs, I liked her brief explanations. My life will be easier now that I've discovered this app, I won't have to go to the internet to look up a new word. I recommend anyone looking to start signing with their baby to use this app. Desperate for a back button. Otherwise great. The navigation is a little awkward. There is no clear HOME screen. The signs are grouped by A-Z, Categories, and favorites. So you can always find what you are looking for but it may take two clicks to get there. I Love that when you click on a word, the video just shows the sign silently first, then a brief pause, then the description, its great when you just need a refresh. Some of the other apps always start audibly, which can be very distracting, some even have an a corporate logo before you can see the sign. Not this one! This is a super helpful way for me to practice and remember the signs I am learning in my beginning ASL class! Also, to the reviewer who is having trouble hearing the audio, I had the same problem until I realized that if your phone is on silent/vibrate, you cannot hear the audio. It came back as soon as I switched my sound back on.